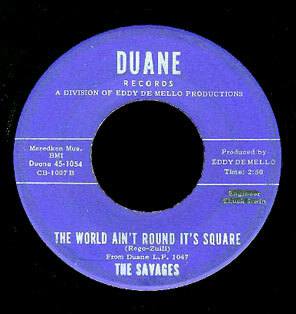 The Savages, sixties garage punk from Bermuda of all places. Raw, melodic and thoroughly awesome! They think they’re right but they’re really wrong. Baby, The World Ain’t Round, It’s Square.